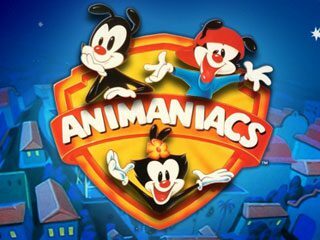 A “live” special that highlights the anniversary of the Warners’ creation, from their original roles as sidekicks to the early Looney Tunes character Buddy through their golden age and their occasional breakouts prior to recent times. Behind the scenes, though, a mysterious adversary (Buddy himself) is plotting their demise. Guest appearances by Charlton Woodchuck, Slappy and Skippy Squirrel, Elmyra Duff, Bugs Bunny, Daffy Duck, Porky Pig, Foghorn Leghorn, Yosemite Sam, and Tweety.